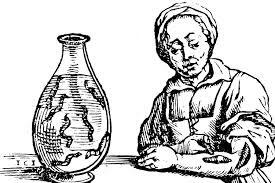 When leeches failed to cure dropsy, we suppose some medieval physicians recommended, with full solemnity and confidence, more leeches. Or would this be the solution proffered by the leech-mongers? Statins lower cholesterol and lower cardiac mortality, but they do not lower overall mortality for any risk group. Therefore they are increasing risk in some areas while reducing it in others. However, besides lowering cholesterol, statins have an anti-inflammatory property as well. After all these years, we do not know which property is doing what. A new drug, ezetimibe, introduced 10 years ago, answered that question. Ezetimibe only lowers cholesterol, but it has no anti-inflammatory property. This drug was developed for people who couldn’t tolerate statins. It lowered cholesterol by the same amount as statins. However, it did not reduce heart attacks, and significantly increased cancer. A lose-lose to be sure. Isn’t there a strong obvious message here? Isn’t this proof that lowering cholesterol causes problems? If you lower it with statins, which also have anti-inflammation properties, it’s a wash. Less deaths by heart attacks, but increased deaths due to other causes. However, lower just cholesterol and what happens? No heart attack prevention, but more deaths due to cancer. While the basic message: “It’s not the cholesterol, stupid,” seems abundantly clear, the drug industry response was to combine ezetimibe with statins. Did this do any good? Health wise, we mean. Were there fewer deaths? Not so far as is known. But now, we have another grand breakthrough. A new drug, evolocumab, which lowers cholesterol by some other pathway, lowers cholesterol even more. Now we hate to ask really stupid questions, but if lowering cholesterol with one drug increased mortality, why would lowering it with another drug be a better idea? At this point, a new clinical trial, funded by Amgen, has the pharmaceutical industry in a spin. Evolocumab is lowering cholesterol by a whopping 60%. This reduced ‘heart events’ from 2% to 1%. Heart events is everything from angina to stents. The tests only ran a year, so no chance of any mortality data. Cancer and dementia, the likely outcomes, won’t show up for many years. Actually, the tests reported some cognitive loss in the one-year time frame. But not much. Don’t take this drug. You would be playing with fire. We NEED cholesterol. There is strong evidence that Alzheimer’s patients are cholesterol deficient. There is every reason to believe that the last several decades of cholesterol lowering mania have significantly contributed to the Alzheimer’s epidemic. 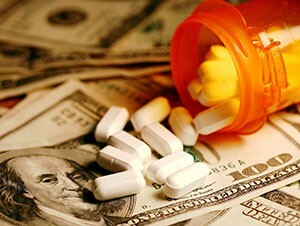 It is astounding that any drug company would develop a drug that would lower a vital biochemical by such a huge amount. Cholesterol is manufactured for a reason, the body knows what it is doing. Being fully aware of the failure of ezetimibe, you would think it unthinkable that a drug would be developed that went even further. But it has happened, and big bucks are behind it, so expect the worst. In a decade or two, when all the statistics are in, we will know exactly how many were saved, and how many were killed. Given the track record of ezemibe, it isn’t likely to be a pretty story. Cholesterol is not bad. Cells need cholesterol. Depriving them of it weakens them, makes them less cancer resistant, more prone to damage. Heart disease is caused by small LDL lipoprotein particles and other junk getting stuck behind artery walls. This only happen if 1) the particles are small, and 2) the arteries are not in top shape. These conditions are both easily preventable without drugs. Even reversible. Small LDL particles are caused by high triglycerides, and these in turn are caused by high levels of sugar and starch in the diet. Reduce this, and triglycerides and small particles will decline to safe levels, and the deposition of junk will slow down. Exercise conditions the artery walls and increases HDL as well, which actually cleans out the junk stuck in the artery wall. If the right diet and right exercise are combined, heart disease risk is greatly reduced. Reduced far far beyond any drug results. Cancer and dementia risks are reduced as well. Cholesterol lowering drugs do harm. Drugs that lower cholesterol a huge amount have the potential to do a lot of harm.